Microsoft is chiefly known for its contribution to the software world in the form of Windows operating system, Office suite, and Azure cloud services. But, now Microsoft is also busy observing the quantum computing synopsis, hence, Microsoft is developing its own quantum computer along with the quantum OS. As the first digital computers, which revolutionized the world back in 1957 when John Backus created the first programming language, called FORTRAN, to ensure that real-world problems could be solved quickly by machines, the technology industry is currently facing a new revolution led by quantum computing, which promises to raise the possibilities of processing today which is only imaginable levels within a context of science fiction. The new computing paradigm opens new logic gates with algorithms that allow solve problems so far unapproachable by traditional machines, which, despite having reached levels of sophistication unthinkable a few years ago, have reached a state of near stagnation in Regarding the possibility of developing. The practical quantum computing breakthroughs have been led by the tech giant companies like Google and D-Wave, who were already working in partnership with NASA. Hence, all these companies are considering quantum computers as the next step in the journey of computers. Among them the tech giant Microsoft is an another major force in the tech industry, Microsoft is chiefly known for its contribution to the software world in the form of Windows operating system, Office suite, and Azure cloud services. But, few prominent sources states that for quite some time, the tech giant Microsoft is also busy observing the quantum computing synopsis. Yes, the tech giant Microsoft is openly throwing its own hat into the ring with a new quantum computing initiative — and a new type of system known as a topological quantum computer. The tech giant Microsoft has already nabbed four top scientists simply to work on the quantum computing and turn the research into a reality. Microsoft’s past master Todd Holmdahl, who is known for his involvement in the development of Xbox, Kinect, and HoloLens will lead this project. However, the scientists who will join him are Leo Kouwenhoven from Delft University, Charles Marcus from the University of Copenhagen, David Reilly from Sydney University, Mattias Troyer from ETH Zurich. Moreover, we all know that many companies like IBM are also working on making quantum computing available via cloud infrastructure. But, the tech giant Microsoft’s crew believes that topological qubits are better equipped to confront challenges like electrical noise and heat. 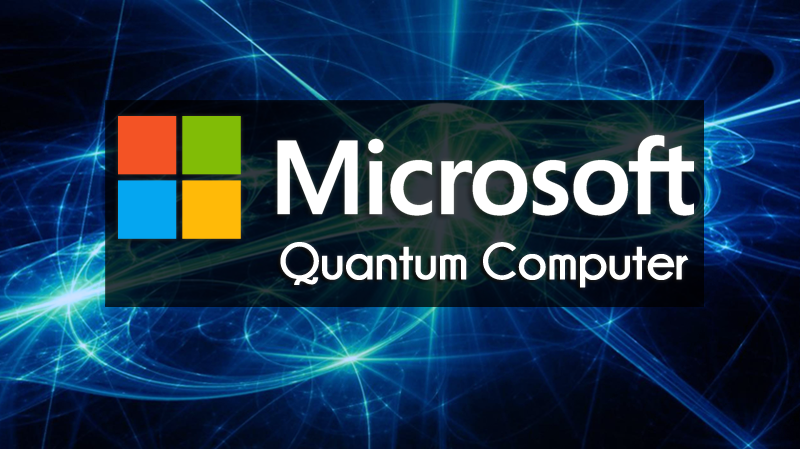 And not only that even the tech giant Microsoft is also building software (Quantum OS) so that they could simply run on their quantum system.